Both Statements - Print and Statements - Email offer several format options which allow you to customize the look of your statements. Many of these options can be set as defaults if much of this information stays the same for the majority of the statements you send. The defaults can be overridden at any time when you are generating Statements - Print or Statements - Email. 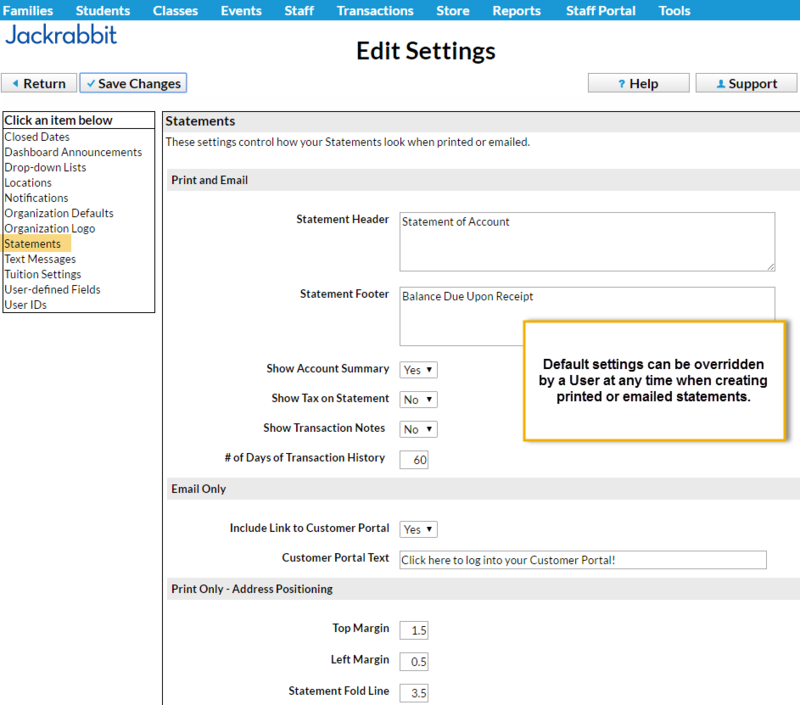 Entering default statement settings is a time-saver and is optional. For more information on creating statements see Statements / Invoices.